A Sermon on the Death of Abraham Lincoln, April 15th, 1865. 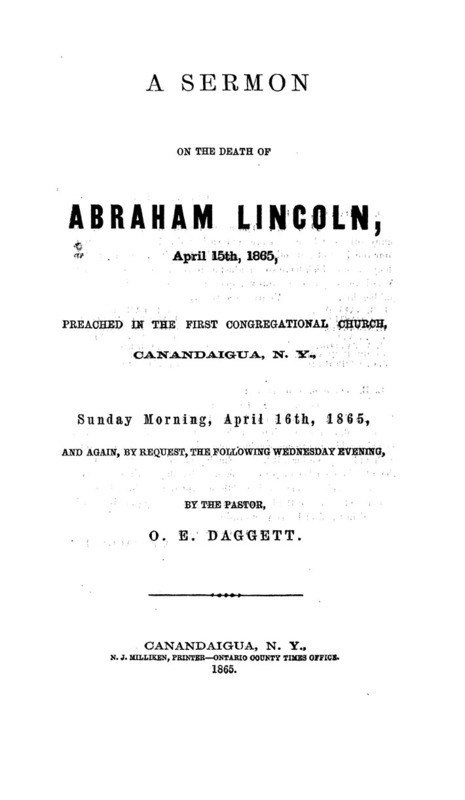 Sermon preached in the First Congregational Church, Canandaigua, N. Y. Sunday Morning, April 16th, 1865, and again, by request, the following Wednesday evening, by the Pastor, O. E. Daggett. N. J. Milliken, Printer-Ontario County Times Office.